Whether you are just beginning your career as a peace officer or seeking to bring your accomplishments and talents to serve in one of the top law enforcement agencies in the nation, we have a path that is right for you. 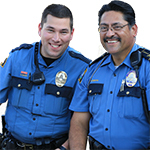 Want to serve as peace officer but don’t have the resources to obtain the required education? Earn while you learn through a partnership with AmeriCorps. Enforce parking regulations while supporting traffic safety in the city. 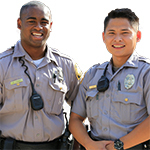 This entry-level position allows you to become a city employee while you pursue a degree in law enforcement. Use your cultural knowledge and linguistic skills to support investigations and the operations of SPPD. 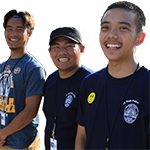 This entry-level position allows you to become a city employee while you pursue a degree in law enforcement. 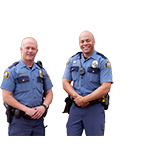 Have you completed educational requirements and POST (Police Officer Standards & Training) certification? Continue your training in SPPD’s academy. 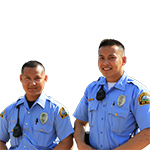 Upon completion you will be recognized as a SPPD officer and join one of the best prepared departments in the region. If you have law enforcement experience and want to apply your skills to our team, we want to hear from you. SPPD is one of the largest law enforcement agencies in the state, offering exceptional opportunities for promotion and career advancement.